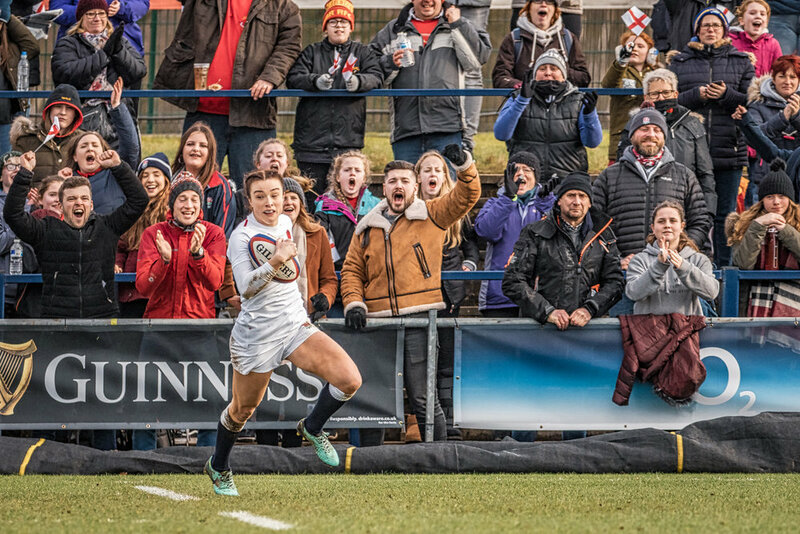 Ever since international rugby first came to Doncaster last Autumn with the visit of England Women and Canada, the region has looked forward to a second episode. 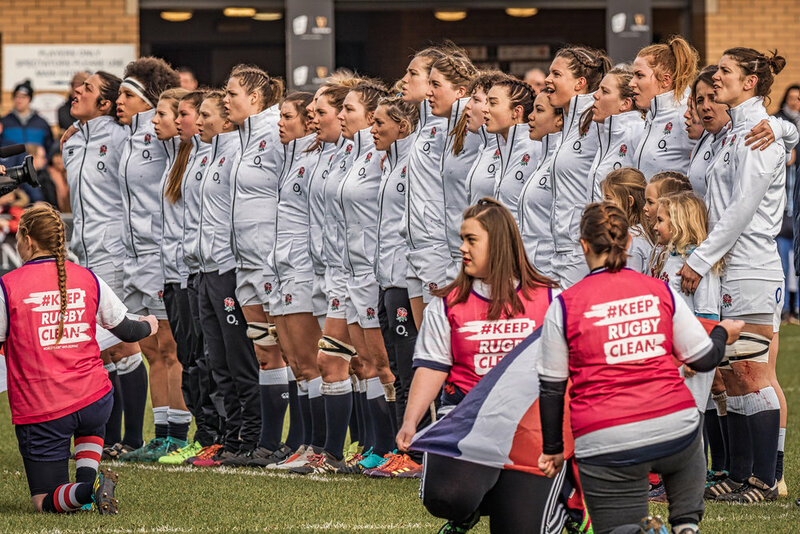 It finally came on Sunday and this time it was the mighty Six Nations Championship, the opponents being 2018 Grand Slam champions France. The day began cold and overcast. Seeing as the kick off was a relatively early 12.45, ickledot had decided to take no chances with the motorway traffic, staying with friends who lived locally the previous night. This made it a weekend of Yorkshire rugby as I’d spent the previous afternoon photographing Rotherham Titans (more of that in a future post). Castle Park Doncaster was already alive with activity when I arrived just after 9.30. All agreed it was great that the rain had held off; we just needed a bit more warmth and brightness. The two teams arrived not long after eleven and within the hour they were out on the pitch warming up. With fifteen minutes to go before kick off, one of the refereeing officials very kindly informed me that England would kick towards the sun and away from the main club house which houses the changing rooms at Doncaster. So, by the time the teams came out for the preliminaries I was in position. Good job too as there were far more photographers present than for the usual Doncaster Knights game. I left my bag at my match position and crept down the side of the pitch to take some shots of the teams lined up for the anthems. Amazingly the sun came out just before kick off and the rest of the afternoon was bright. You’ve no doubt read a number of match reports and even seen some TV highlights so I won’t go into detail here. It was a great afternoon for England as they racked up more than forty points. 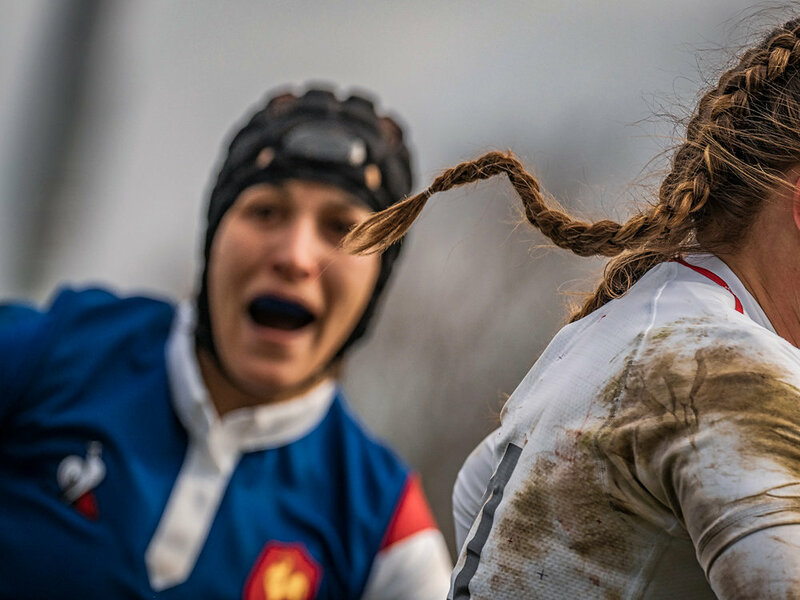 By their own admission later they regretted allowing France to recover a bonus losing point in the second half. 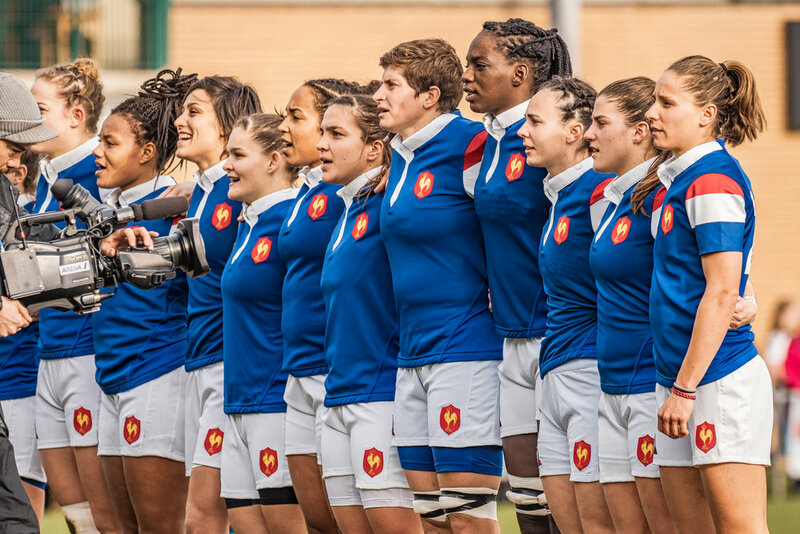 However, for much of the game previously they had been dominant so should not be overly self-critical and it shouldn’t be forgotten that France has an extremely strong team. The game was fast and I have to admit I missed capturing a number of key moments. However, there were so many exciting passes, moves, tackles and scores that in the end I think I had my fair share on the old memory card. What a great occasion. I think the authorities have made a superb decision in holding some of these matches away from the bigger stadiums. There were just under 5000 people in attendance but they filled Doncaster’s ground to create a wonderful atmosphere. Undoubtedly the players were stirred by such a show of support. Some of the other countries in the competition could follow the lesson. I saw TV highlights of the other games; highly entertaining but played in gigantic stadiums that looked empty. 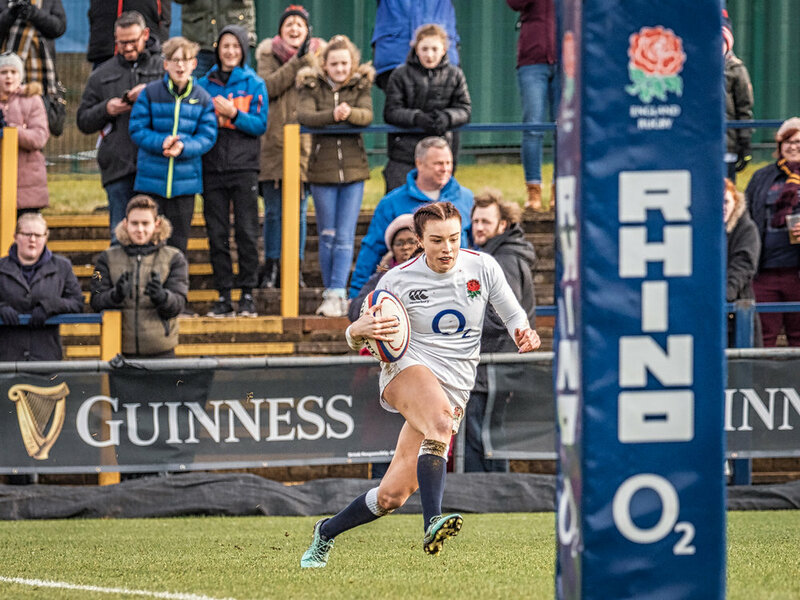 A try for Poppy Cleall. A photographer from Getty Images must have been sitting right next to me as they have almost the same shot. This one’s mine, honest! The move also avoids that awkward comparison with the men’s games. This is a now a different movement with its own tribe. 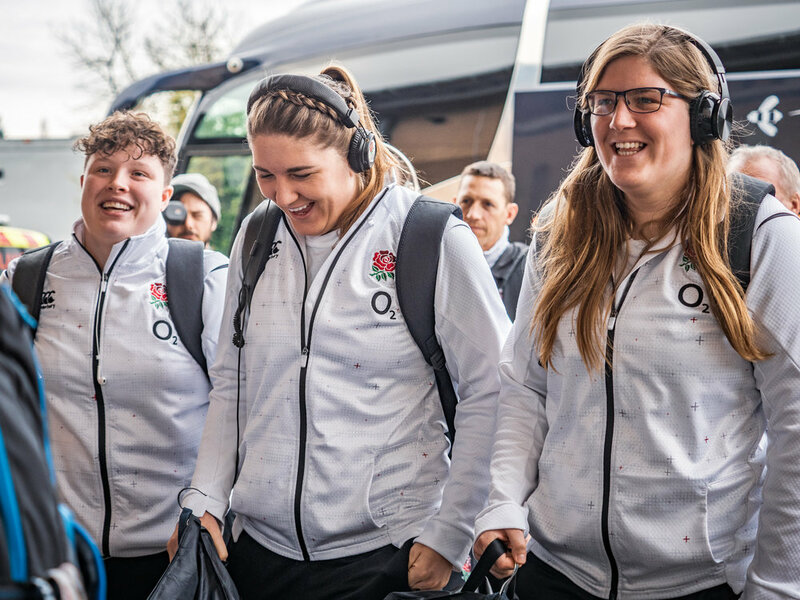 There’s already word of future visits to Doncaster by the England Women. Here’s one person who cannot wait! Is this Safi N'Diaye with an airborne tackle? Actually the shot above is a favourite. A bit cheeky, totally unplanned and certainly not your regular sporting picture but it does quite sum up the game. My camera and France left floundering in the wake of England’s blistering pace. This was the rapidly disappearing Jess Breach about to go over for her second try of the day. You can see a few more images from the game here.